Calling all current and/or aspiring Hamilton aficionados. Soon you'll be able to see the massive Broadway success as many times as you want, without having to leave your home. I'm talking Hamilton, being filmed. USA Today reports that “the production will film two performances with the original cast this month before they start exiting, as well as shooting offstage cameos.” Lin-Manuel Miranda — the brains behind the operation — has since confirmed the news on his Twitter. This announcement comes at the perfect time, given that Miranda also confirmed he will be leaving the show on July 9. Earlier this month, there were rumors Miranda would be hanging up his Hamilton hat, so people have been preparing for his departure. Now with the option of seeing Hamilton on film, it feels like a softer blow. According to The New York Times, Miranda confirmed his departure date at breakfast event Thursday in New York's Washington Heights. Starting July 11, Manuel's alternative Javier Muñoz will take over. Turns out, the rest of the play's stars also have a contract expiration date in July. When asked about their plans, Miranda said, "I don't know who's staying and who's going. I wouldn't begrudge anyone who moved on and I wouldn't begrudge anyone who chose to say." 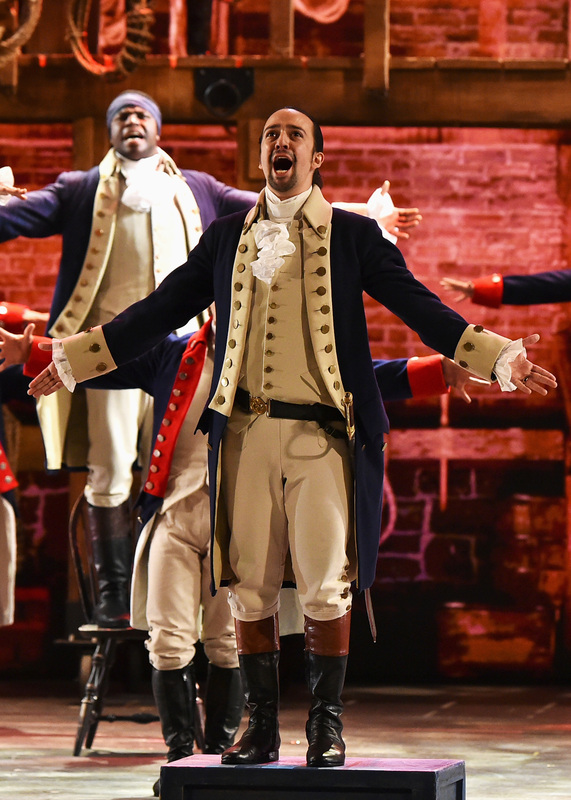 No need for us to begrudge anything though, as all of the original cast — including Miranda — will be filmed and thus Hamilton will be made for our viewing pleasure. Sometime in the (nearish) future. As Miranda said, THEY GOT US. Boy, do they ever. As this news has just been confirmed, there's no word on when it will premiere or even where and how. The possibilities for broadcast are vast. It could turn into a TV special, appear on a streaming service, go straight to DVD/Blu-Ray or even air in some select theaters across the country. Though there are elements of live theatre that can't be incorporated through film, a movie theater run would be the next best thing. As a follow up to his original tweet, Miranda didn't give us much answers on how this will work. Well, now I have more than one reason to visit Gringotts. Hamilton-obsessives (the ticketless kind, at least) might not be able to see Miranda in his element, live on that stage before he departs. But with this news, the prospect of delighting in Hamilton's glory appears to be closer than it was yesterday. And that's definitely reason to celebrate, right?